A creme linen box pleat lamp shade is the perfect highlight to your stylish decor. Update a favorite lamp with this handsome pleated shade design. The shade comes in a creme linen fabric with wide box pleats for decoration. There is self trim top and bottom. 7" across the top x 14" across the bottom x 11" high overall. Hardback style unlined interior with a polished brass finish spider fitter. Creme linen fabric with wide box pleats. This is a lovely lamp shade that will be perfect for a bedroom table lamp. These shades are fabric and the exact size I need. These are almost a perfect match and easy to find by sizing to one that was damaged so upgrading the pair. Color & size should be great. LOVE your "see it in your room" tool! Fabric and cold perfect match to my tiffany lamp! Needed to replace similar shades. Looking for a almond pleated bell shaped shade 7.5 x 20 x 11 or 12? BEST ANSWER: I am sorry, we do not currently offer a lamp shade with those exact specs. But, I have added a link to some other options which are close in size. We purchase two of these beautiful shades for our master bedroom lamps. They are made so well and look as good as shades we saw at three times the price. I do recommend these shades, highly. Hi. I really like the Creme Linen Box Pleat Lamp Shade (Spider) - Style # 35566. My brother currently has a shade that is 11" (top diameter) x 17" (bottom diameter) x 13.5" (vertical length). I need one size smaller, as his lampshade is too big. Can you tell me what size I need and if you have any shades available like the one I want? does this come in white or off white? BEST ANSWER: I'm sorry, this specific shade is not available in any other color. Do you have larger size of the linen box pleated shade? Looking for 8 1/2 x 18 1/2. Also want satin lined. Is this a big enough shade for a 3 way bulb lamp that takes up to 150 W? 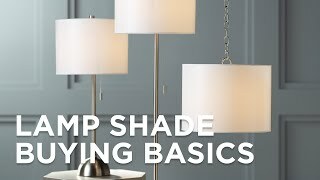 BEST ANSWER: The size of the shade is usually relative to the overall height of the lamp however, this shade should be of sufficient size. Yes, that is what I use with it. I ordered this lampshade after someone from the online chat assured me that the shade's liner was fabric, not plastic. Unfortunately, they were mistaken. The shade has a plastic liner. I have had such shades in the past and after about a year or two the plastic becomes brittle and breaks up, making the shade useless. I strongly recommend getting a slightly more expensive shade that has a fabric liner. I had to send the shade back, which is unfortunate because other than the cheap liner the shade was really lovely. I purchased 2 lamp shades for our college age sons. They look very nice on the Stiffel Lamps that we had purchased for their rooms. OK lampshade and decent quality for the price. The color, however, does not match the description. It looks like a creme color when the lamp is off, but turns beige when the lamp is on- even with a bright white bulb. Does not fit the clean, bright look that I was going for. Unfortunately, lamps plus does not allow free returns (which I only found out AFTER the purchase, as the person on the phone let me know that only SOME of the items get free returns- so I definitely felt deceived). Don't get this lampshade unless you are flexible on the color. It's not even worth returning since they require you use the original packaging, which is large and heavy. Finding the right lamp shade is not always easy but I was in and out in 5! 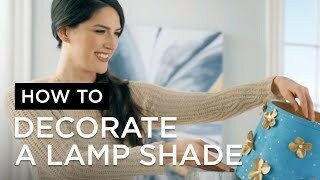 Hard to find shades for custom lamps. I always find what I need at your store. At great prices, too. was worried about buying a lamp shade without trying it on first. but everything turned out great . It fits the lamp beautifully! from Lamps Plus. I have it saved as a favorite for my go to site for lamps! EXCELLENT! Also, it was packed very good. Website is super, but a bit too aggressive. Could have used a larger size lamp shade, but good quality and perfectly described. It’s great—could be 1-2 inches longer. I love this lamp shade! My older lamp was really in need of an update. This shade really made a difference! Pros: A small shade with class! A classic style that fits well with traditional furnishings.